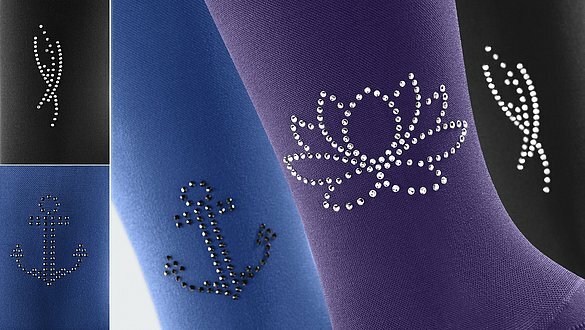 Since October 1, 2018, you will receive three new motifs made of Swarovski® crystals* for all mediven compression stockings from your specialist dealer. Experience how wonderfully versatile compression therapy can be. With Swarovski® crystals*, every outfit will become an individual eye-catcher and statement. medi lights up the eyes of all patients with oedema and venous problems. As we all know – diamonds are a girl's best friend! 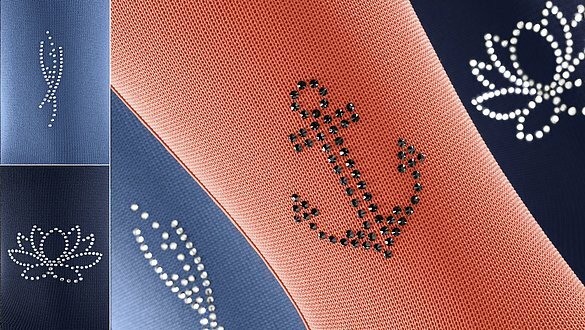 medi therefore offers three exquisite motifs made of Swarovski® crystals* for all round and flat knit assortments: Anchor, Waterlily and Wave. 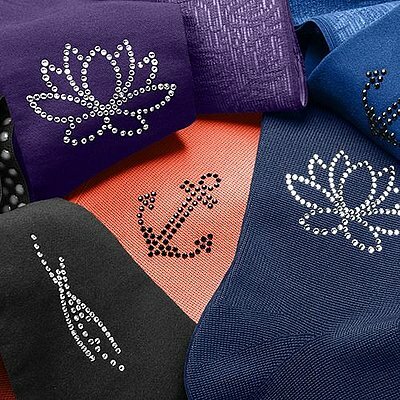 The sparkling “Anchor” motif made of black Swarovski® crystals* will be sure to give you a cool look. The decorative “waterlily” motif made of silver sparkling Swarovski® crystals* will work magic on your look. The delicate visual appearance of silver Swarovski® crystals* in the “wave” motif will give your outfit a timeless shine. The left picture illustrates the mediven elegance in royal blue and mediven 550 Leg in coral. The three Swarovski® motifs can be freely combined with all standard and trend colours. The left picture illustrates the mediven elegance in violet and mediven 550 Leg in marine. The left picture illustrates the mediven elegance in black and mediven 550 Leg in denim blue. The motifs can be applied to all round knit stockings and flat knit stockings and arm sleeves. Stockings can be decorated on the ankle, arm sleeves, on the upper arm or above the wrist (not on the glove). (Exceptions: mediven for men, mediven active, mediven harmony, hand parts, toe caps as well as plain and two-tone, patterned flat knit fittings). Would you like to easily and quickly design your favourite stocking by yourself? 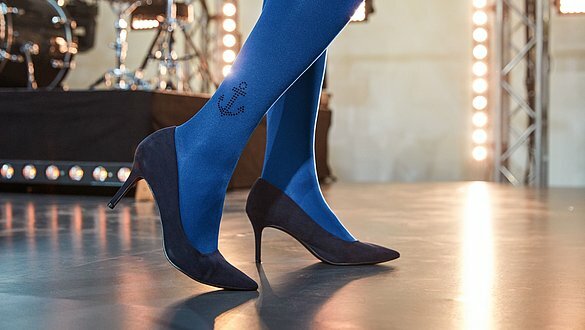 Discover our wide range of compression stockings! A strong brand. A wide range of products. A better quality of life. The medi World of Compression: a signpost to the future with 65 years of expertise in compression. Products with the highest standards of quality, innovation and design. Put your trust in first-class finishing and special wearing comfort, and actively enhance your well-being!